Bed And Breakfast376 sq. ft. The apartment formula does not include breakfast and will be required in addition to the daily price € 10.00 for kitchen use and final cleaning 10% of the total price of the reservation, will also be required on site a deposit of € 150 , 00 which will be returned upon departure if everything will be as found. 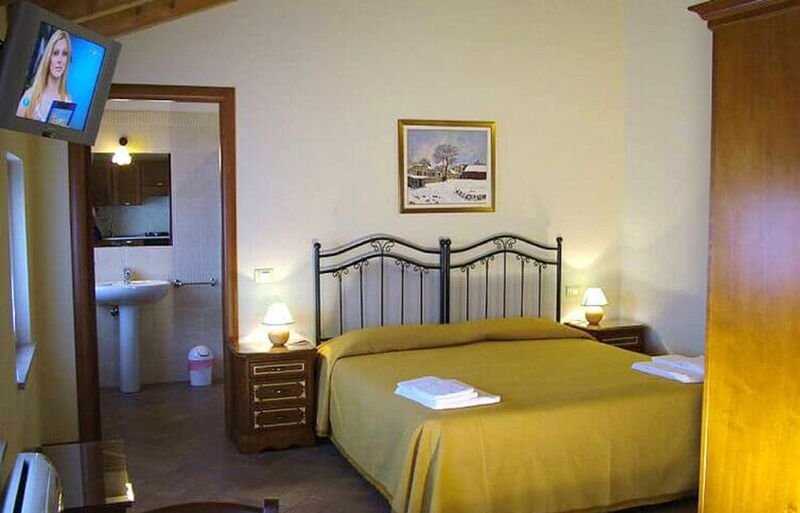 This room is equipped with air conditioning, TV and free wifi, as well as a sofa and a small table. The services are windowed, with shower, hairdryer, single-dose shower gel kit and shampoo and towels. The Farmhouse "Mambrotta" Bed & Breakfast located a few kilometers from Verona in open countryside between picturesque landscapes and ancient rural courts, surrounded by greenery, recently renovated is owned by the Fam. Campedelli. The sweet breakfast buffet, savory on request, is served in a charming and elegant room accompanied by warm hospitality. There is the possibility to park for free in the garden adjacent to the farm. Nearby there is Peschiera where there are most amusement parks including GARDALAND, MOVIELAND, CANEVAWORLD, CAVOUR (large water park) in Valeggio sul Mincio where there is also the famous park SICURTA ', then for nature lovers there are worth visiting the PARKS OF VENETO and the excursion on the DELTA del PO ', or the boat trip on the river Brenta to visit the Venetian Villas located at the edge of the river. Describing Verona one of the most beautiful cities in the world is not an easy undertaking, with its history its monuments its suggestive places. ARENA with its representations, works, a worldwide attraction, the ROMAN THEATER important as well as for the historical construction are held unique events, to visit the ARCHE SCALIGERE, the HOUSE OF GIULIETTA AND ROMEO, the GRAND GUARD, PIAZZA ERBE is a living room in Verona which, with its historical buildings, leaves you speechless and so on.